Acceleration Arden Hills – Athlete Training for any sport at any level. CLICK HERE TO SEE WHO TRAINS AT ACCELERATION NORTH! IS YOUR STRIDE SHORT & INEFFICIENT? DO YOU WANT TO MAKE THE TOP TEAM IN YOUR SPORT? SCHEDULE A FREE TRIAL BY CALLING: (651) 486-0020. EXPERIENCE ACCELERATION BEFORE YOU BUY! The best players are the best athletes. Our Program builds better athletes by teaching fundamental skills of sprinting, skating, jumping, lifting, and scoring. We train athletes outside of comfort zones to gain optimal results. Our underlying mission is to tip the scales of sport in your favor. Whether it’s adding 4 inches of height on a vertical jump or subtracting 0.4 seconds from an athlete’s 40-yard dash; if there is an advantage to be had, we’re the ones to find it. We know how to develop competitive athletes. Using state-of-the-art performance testing tools with synchronized video to document progress, we’ve tested, studied and perfected our training programs so you gain the ability to improve your play and the confidence to win. Every individualized program is based on fundamental test data that identifies your strengths and targets your weaknesses. Our proven methods safely push you past your limits – increasing the competitive skills required to be a champion: Speed, First-step Quickness, Explosive Power, Lateral Movement Skills, Dynamic Stability and Overall Athletic Conditioning. We offer three types of training options; Speed, Power and Quickness (SPQ) Programs, Specialty/Seasonal Programs and personal/customized training. Athletes register for SPQ programs in two ways. You can sign up for a specific number of sessions over a specified period of time (example: 12 sessions, 4-6 weeks) or you can register by the month, we call this our Speed Pass (this is like a gym membership). Each session, approximately 55 minutes, is scheduled online. For that time, athletes select from one of three stations: skating treadmill, running treadmill or plyometrics. If you’re not a hockey player, speed skater or roller derby athlete, you probably wouldn’t select the hockey treadmill for your hour. Each of these small group sessions (1-6 athletes) is run by one of our highly qualified trainers and will be customized to your goals and sport. Specialty/seasonal programs are just that. They take our foundation stations and add in additional, focused, training elements for that sport. For example: stick handling for hockey, pitching mechanics for softball and swing mechanics for your golf game. If you have any questions at all, please call us. We’ll walk you through it or discuss what other options are available. You can stop in and get a tour. We offer one-on-one personal training too. 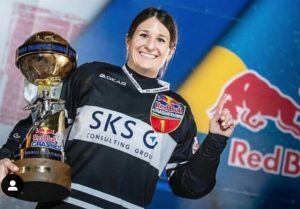 Amanda Trunzo won her second straight Red Bull Crashed Ice World Title! Amanda skates on the treadmill twice a week and does our agility and plyo workouts once a week. Suni Lee wins the all around gold and more. 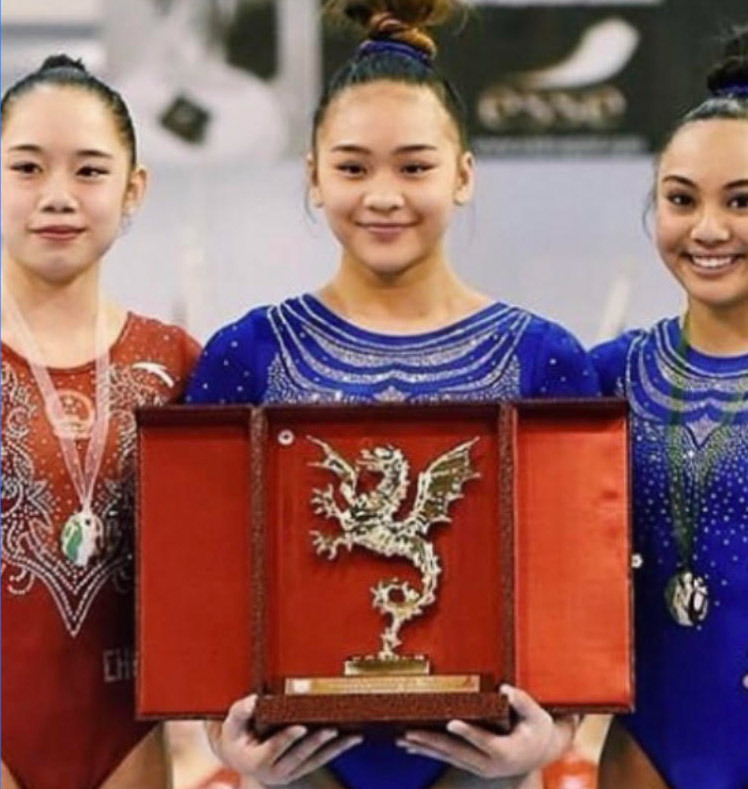 Suni Lee from Midwest Gymnastics Made the US National team and won the all around gold and the individual gold on uneven bars and floor. She also won bronze on the beam. The USA Team won the gold medal in the international meet! Suni trained twice a week at Acceleration from May through December to prepare for this!